The recent, annual gathering of golf industry leaders brought together 100 top minds in Chicago for a single purpose. It was to dive deep into re-balancing supply and demand and the two key demographic groups: Affluents who drive a majority of the golf spend, and Centennials who are 2.2 million strong and growing. While the NGF reports a 2% drop in total “golfers” – those who play at least one round a year – to 24 million, the number of committed, loyal golfers held steady in the 17 million range. These golfers account for 83% of all rounds and 85% of all dollars spent. They are overwhelmingly comfortable with golf as a lifestyle and are confident in their playing skills, despite average scores in the low to mid 90s. Better yet, more of these best customers are on the horizon as latent demand counts 2.2 million new people taking up the game last year and a record 11.9 million people claiming great interest in trying golf. From 1990 to 2005, golf experienced a 40% increase in courses fueled by real estate and hospitality businesses. Since that boom, the industry has lamented an oversupply of golf holes per capita. One of golf’s strengths has also presented a challenge in managing this situation. 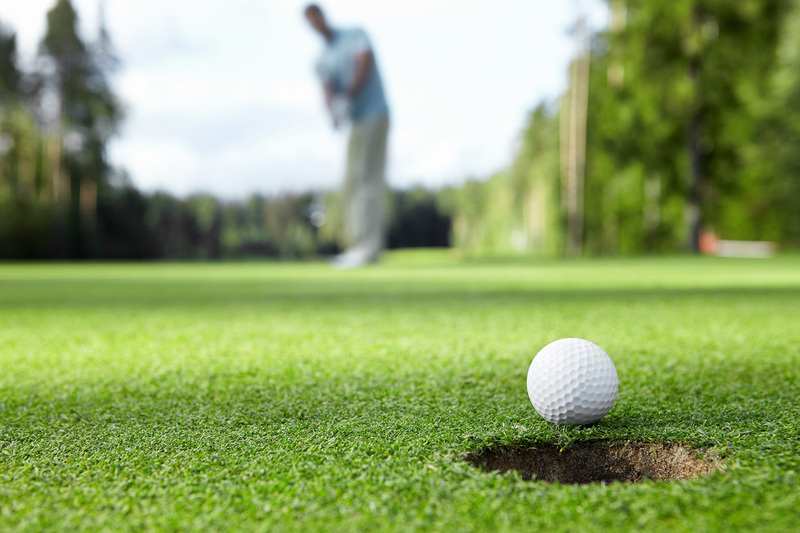 The golf course industry is comprised of thousands of resilient small businesses. Since the recession, those courses, the number of jobs they provide and the wages they pay have held steady after a brief dip. This high percentage of independently-operated stores also makes it impossible to correct an over-supply by closing an appropriate percentage of our doors in one fell swoop. Although 1% (~150 of 15,000) of courses closed in 2015, the total attrition of courses from golf’s all time high has been only 5%. We are, however, seeing marked changes in the type of facilities surviving in the new economy. Since 2008, the number of private golf courses has declined by 15% with 100 closing and another 500 becoming pay for play. This created an increase in competition in this sector and led to more public courses closures. The trend is for that to continue; the NGF estimates another 700-800 public courses will close in the next 10 years. Look for more courses to align themselves with management companies such as Billy Casper Golf as competition intensifies. Public access golf is a vital on-ramp for golf to attract latent demand and welcome new or returning golfers. The correlation between household income and golf participation remains strong with one in four households with $150K+ income playing golf. This compares to one in 14 with $50K annual HHI and one in 33 at the $25K level. On behalf of the NGF, a YouGov report provides insights into behaviors of this high-performing segment of golfers. Annual household income and discretionary spending are proportionate to the size of each group, but financial assets are not, suggesting that Matures skipped Gen Xers in the transfer of wealth. This makes Millennials the key affluent segment in developing future brand affinity. YouGov also predicts some overall belt tightening among Affluents this year due to economic and political anxiety. Overall Aflluent spending is projected to be down 1% due to a -5.3% number for Boomers and a -2.6% decline in Mature households. This is mostly offset by an 8% jump in millennial spending and 1.3% increase by Gen X.
Interestingly, spending on “experience” categories (travel and fine dining) will grow while “product” categories (watches, fashion apparel) will decline. This behavior is consistent with what we learned about Millennials who are more experience oriented. Not all Affluents are wired the same. They break into two distinct camps: (1) luxury shoppers seeking unique products and experiences wrapped in extraordinary service; and (2) bargain hunters who enjoy the “art of the steal” as much as the actual product and experience itself. 1. Identify prospective advocates and educate them about your brand and its benefits. 2. Communicate with them regularly about news that reinforces your brand and its benefits. 3. Send them something physical to discuss with their friends and with you. 4. Provide digital content for them to share with others and then win their hearts and minds by flattering them when you see their posts about your brand. 1. Create content about unique experiences (couples, buddies, father-son, culinary, spa/wellness) that trigger memories. 2. Curate web content to allow self-guided tours of your property and amenities to build anticipation. 3. Include references to experiences for all family members to foster family chatter about the trip. 4. Send photos and video for family members to share before their trip and then cultivate relationships (and new content) by asking customers to share their experiences and memories. Didn’t we just finish learning everything we needed to know about Millennials? Well, with the oldest millennial now 37, attention is turning to the 78 million Centennials born after 1997 who are beginning to affect the retailing of products and services. Centennials are the first generation to grow up in a world in which the non-white population is equal to or greater than Caucasians. They are blind to race and gender which is leading to greater diversity in junior golf. Compared to the mid-’90s, junior golfers today are five times more racially diverse (29% vs. 6%) and almost one in three are now female (32% vs. 17%). Be it the “Young Guns” on the PGA and LPGA Tours, new youth initiatives such as PGA Junior League and Drive, Chip & Putt, or parents looking to build life skills through the sport, more kids are taking up the game. In the past five years, a half-million kids started to play. This bodes well for the sport’s long-term prospects as people are 86% more likely to become a Core Golfer (8+ rounds annually) if introduced to the game by age 14. Centennials cite a higher levels of stress than their predecessors which, given financial crises, global terrorism and the rancor in politics, shouldn’t come as a surprise. They are the first generation since the depression era to cite economic stress as a factor in their lives and anxiety over the sheer volume of information that comes their way. Though 10 to 17 year olds consume an average of nine hours of media daily on tablets and phones, they don’t make a dent in available content. It is estimated that every second on Snapchat there are enough pictures and video posted that it would take 10 years to view it all. This makes content creation, curation and distribution even more vital if we want target audiences to see our messages. This generation knows it must be resilient to survive. If needed, they will “hack the system” to get what they need as they look at the system as broken anyway. As even more serious than Millennials, they are attracted to the rules and challenges of golf. Navigating a round of golf builds resiliency and the time outdoors with others helps them deal with stress. And with so many older, seemingly successful people playing, golf may introduce them to someone who can help them get into the right school or score a job. Needless to say, these are challenging times for many industries and golf is no different. Pessimism is on the rise with 38% of Affluents saying we’re headed to recession. And, for the first time, golf participation is not following broader economic indicators. Recent rises in consumer confidence, household income and the Case Schiller Home Index traditionally would be accompanied by an increase in golfer participation. Whether this is simply a lag or a more fundamental change must be watched. I’ll be watching – will you?